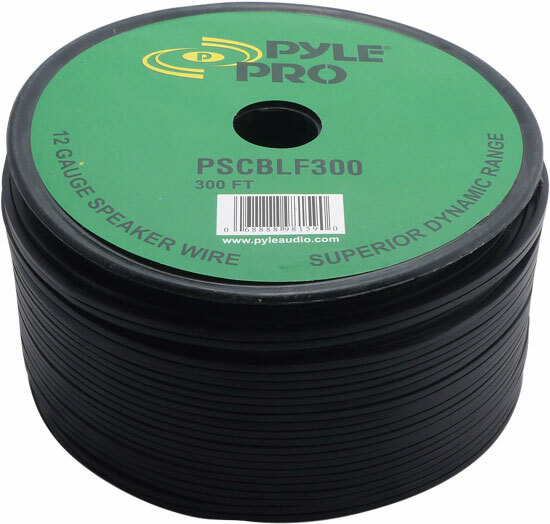 This 12-gauge Pyle premium audio cable provides a high quality connection between your speakers and amplifier. This cable has been designed for maximum noise isolation thanks to the electromagnetic shielding and precision formulated materials. 300 ft. length.